It’s pretty easy to fool people, especially when they want to believe. The disintegration of the blood testing company Theranos and the fraud exposed in its ashes is a prime example – the media wanted to elevate a woman entrepreneur in Silicon Valley, chose Elizabeth Holmes and they weren’t going to let anything stand in their way. The political left is facing a reckoning in the weeks ahead, as ABC’s Terry Moran put it, that promises to be every bit as devastating as what happened to Theranos. 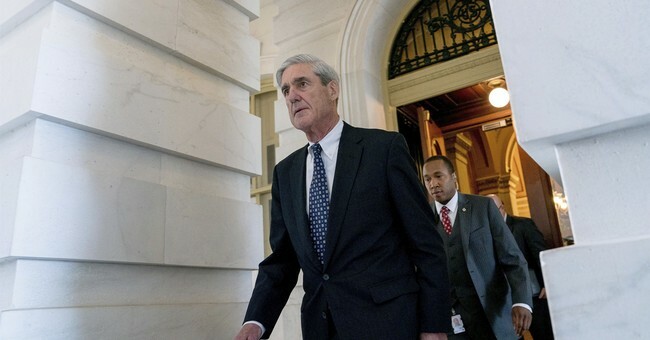 One NBC News story was entitled, “You may be disappointed by the Mueller report.” A Politico story had its own variation, “Mueller report PSA: Prepare for disappointment.” Apparently, NBC News and Politico believe finding out the president did not break the law is a disappointment. Tells you more about what happens in their newsrooms than about Donald Trump. These are just two examples of dozens of stories and statements from leftists resetting the bar to prepare true believers for the rude awakening awaiting them. But what happens to their audiences, their constituents when what they’ve been told happened is shown to be a lie? What happens to the CNN or MSNBC devotee who has been told for two years that Donald Trump was a puppet of Putin, that he colluded with the Russian government to steal the election, when the man they’ve hung their hopes on comes in with a report saying it did not happen? There is no wiggle room in the declarations and reports from the last two years. There isn’t an anchor, reporter, or contributor on those networks who hasn’t asserted, in no uncertain terms, that Mueller was going to expose the “truth” and bring about at least the beginning of the end of the Donald Trump presidency. How do their audiences take them seriously again? How can they have Congressmen Adam Schiff, Maxine Watters, Eric Swalwell, or any number of others back on their networks to talk about anything after? Who would believe them? Where do they go to get their credibility back? The truth is they won’t have to worry about it. Journalism no longer conveys information, it’s comfort food. It’s the warm blanket on a cold night for liberals; a safe space from the realities of a booming economy and decreasing government dependence. The truth is they want to be lied to. People who refuse to accept Donald Trump is president want to hear only about how he really shouldn’t be, how he “stole” the election and will soon be exposed and removed. When that doesn’t happen, when the garbage reporting and opinion they’ve gleefully swallowed for two years is exposed as vitriolic empty calories they’ll have no one to ultimately blame for their anger obesity but themselves. The rest of the country, however, will have to deal with the aftermath of two years of lies, anonymous sources, fake news, and Jim Acosta’s sermons on how a fundraising poem is legally binding immigration policy. With Don Lemon’s pronouncements of how everything is racist because he says it is. With Chris Cuomo’s attempts to explain the Constitution when he likely can’t spell the word. And with Morning Joe’s dangerous combination of arrogance and ignorance delivered with the certainty that can only come from within the security of an insulated bubble so absolute even light can’t escape. The casual news consumer, who likely projected some credibility onto the people stamped with the approval of organizations constantly declaring their fidelity to truth and “democracy dying in darkness,” will demand a reckoning. Polls show the media is only slightly more popular than a painful infection and self-dentistry. When the conclusion of the Mueller investigation turns out to be the political equivalent of opening Al Capone’s vault, the limited esteem in which the public already holds the news business will be gone. An entire political party has staked its future and reputation on rumor and innuendo; stories likely to be exposed soon as a willing fraud. In the case of the media, these are people whose job it is to do better; with politicians, these are people whose job allows them access to the information to actually know better. That reckoning is going to be big and answer the one question there is no good answer for: Why should anyone ever trust them again?